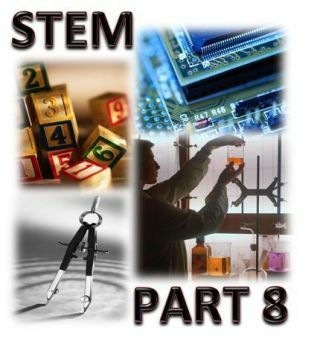 If you wish to see the prior post with all of their resources… Click Below… also email or reply with your own STEM Site. I will try to fit it in to a bonus post. I have already received a few suggestions. Keep them coming! Part 1 Then click here to see those first ten. Part 5 An amazing 50 STEM sites. PBS STEM Education Resources Center – Great information from PBS including engaging lessons, activities, and of course those award winning PBS videos. You will have an opportunity to explore new ideas and new worlds related to science, technology, engineering, and mathematics (STEM) learning through television and online content. NSDL – The National Science Digital Library has some outstanding resources that include numerous links to some great STEM programs and organizations. You will discover high quality online educational resources for teaching and learning, with current emphasis on the sciences, technology, engineering, and mathematics (STEM) disciplines. The resources include formal and informal, institutional and individual, in local, state, national, and international educational settings. Museum of Science – Great database allowing STEM teachers to search for lessons and ideas involving science, math, and engineering from one of the finest science museums located in Boston. You will note that this link brings some wonderful online and digital STEM activities, experiences, and exhibits. It clearly is a must visit for those wanting to bring STEM into the classroom. APlusPhysics – This site is designed to help high school physics students and beginning college physics students succeed in the authentic world of physics. APlusPhysics is a free online physics resource that focuses on problem solving, understanding, and real-world applications in the context of high school physics. Discover podcasts, readings, and amazing project possibilities. CIESE– Explore a website dedicated to improving K-16 STEM education through the meaningful and effective integration of technology. CIESE fosters the use of research-based instructional methodologies and technologies to improve and pioneer novel technologies to explore and better understand their impact on improved education and society. My Science Box– At My Science Box you’ll find complete, scaffolded lesson plans to teach a 4-6 week middle school science unit through activities, projects, and field trips. The lessons have been tested and should provide some great STEM activities for those students in the middle. Cases Online – This website provides a collection of inquiry-based lessons to engage students by exploring the science behind real-world problems. Its goals are to promotes self-directed and life-long learners, critical thinkers and keen problem solvers. Cases are grounded in Problem-Based Learning (PBL), Investigative Case-Based Learning (ICBL).